As part of a Tartan Week special, the ASF is proud to present a series of Lunchtime Concerts from April 6-12. Taking place in one of our absolute favorite settings, The Fountain Terrace at Bryant Park, the concerts are sure to be a musical retreat in your day. 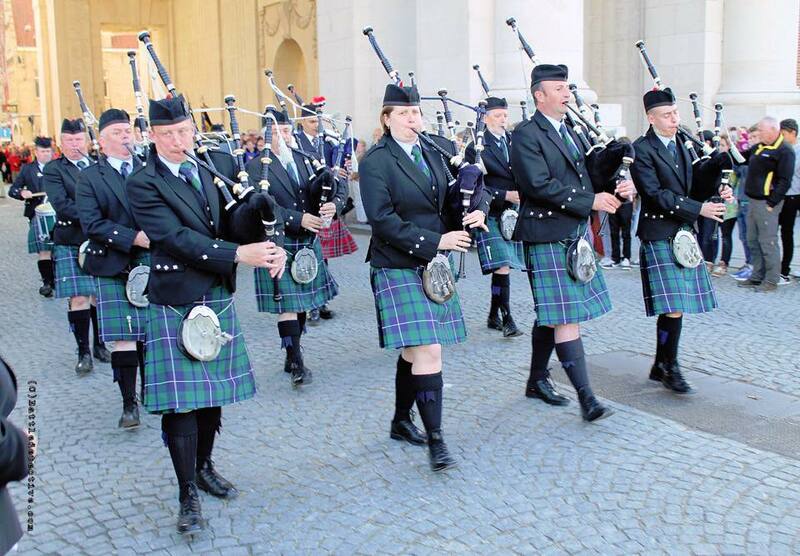 “Tartan Day” recognizes the contributions of Scottish Americans with performances by The Highland Divas and Patrick Duffy, piper, as well as readings from The Declaration of Arbroath and Tartan Day proclamations. 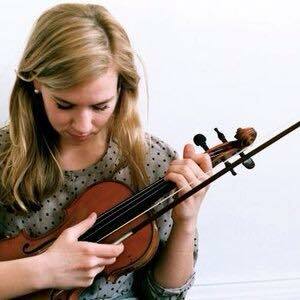 Performances by Scottish Octopus (Celtic/World/Folk Bagpipes) and Hannah Read & John Gribbin, modern folk songwriters. Performances by Lanark & District Pipe Band, Scotland, and Craig Weir, VIP Piper and winner of the Young Scot Award for Arts in 2014, as well as Mike Ogletree Anacoustic Mind, inspired by Robert Burns, with a blend of reggae and rock. 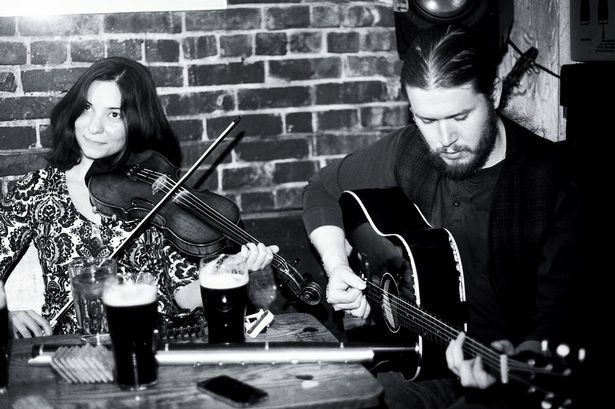 Performances by Scottish Octopus and Jenna Moynihan & Friends, acclaimed fiddler with unique style rooted in Scottish tradition and Appalachian influences. Performances by Oban High School Pipes & Drums, Scotland; Shot of Scotch Highland Dancers, and The Tailor of Inverness – An interlude with Matthew Zajec and Aden O’Rourke (opening at 59E59 Theaters April 14th). A few previews of our musical features for our Bryant Park concerts: Scottish Octopus, Hannah Read, Lanark and District Pipe Band, and The Highland Divas. 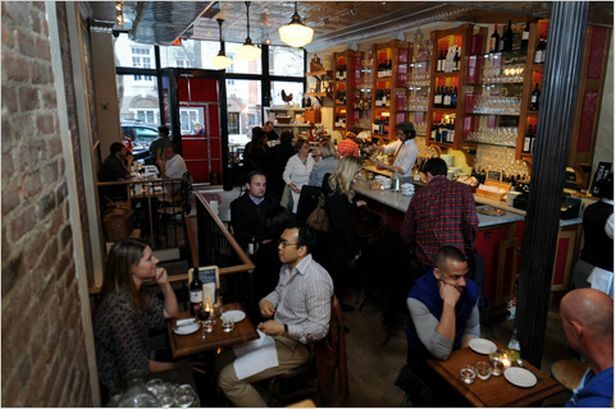 This entry was posted in ASF Events and tagged Bryant Park, Lunchtime Concert Series, Tartan Day Observance on March 29, 2015 by Sara Heegaard. 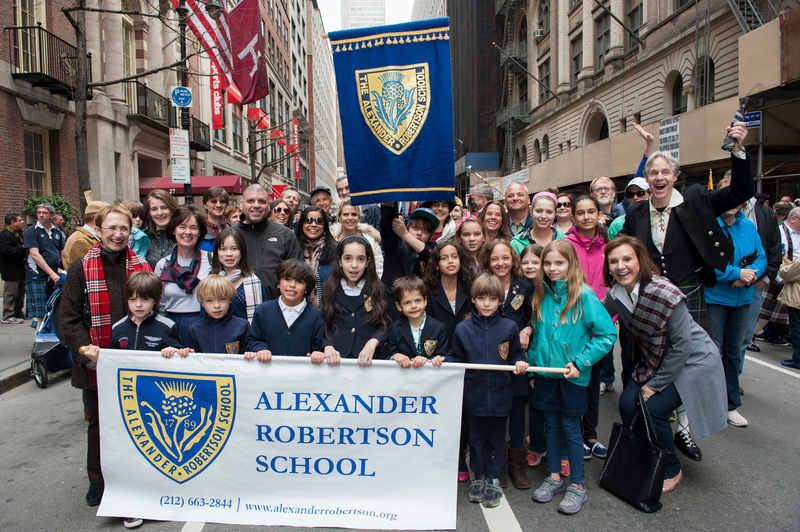 The students and staff at New York’s Alexander Robertson School are getting very excited about their participation in the 2015 Tartan Day Parade. 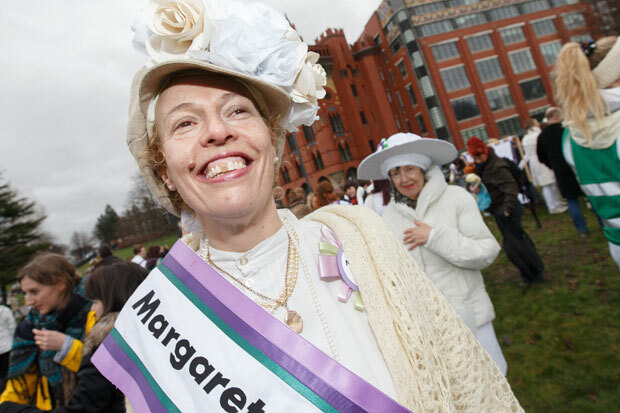 Having marched for the first time last year, the members of this 225-year-old school community know how much fun Tartan Day is –– and to add to the general festivities, they are learning some Scottish Country Dances to perform along the Parade route. Watch for them “Stripping the Willow” and dancing a reel accompanied by their violin teacher, Kristina Giles, who, while classically trained, plays a mean fiddle! 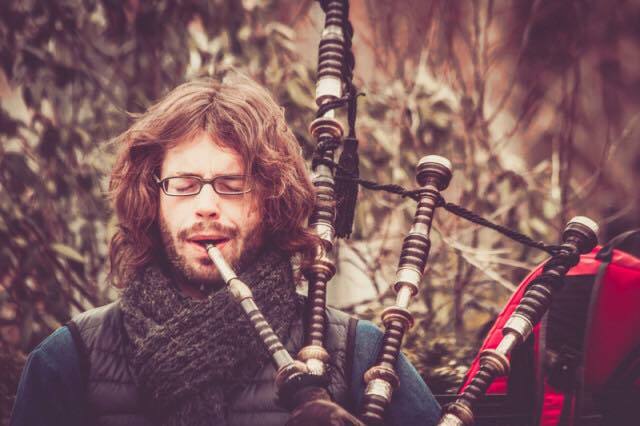 Leading the Pre-K through 5th grade students along the route will be internationally renowned Bagpiper and World Peace Tartan Ambassador, Craig Weir. Craig (20), who is attending Tartan Week to promote the World Peace Tartan’s message of global cooperation and understanding, will be meeting with the Alexander Robertson School children to discuss this important initiative. The school was founded by the largely Scottish congregation of the Second Presbyterian Church in 1789 to educate the children of “farmers and common folk” to become engaged citizens in the new republic, its message of empowerment through education and the World Peace Tartan initiative’s aim to promote global peace and combat child poverty dovetail together beautifully. The youthful exuberance that will be displayed as these two profound messages of hope combine will lift the hearts of all who see it. 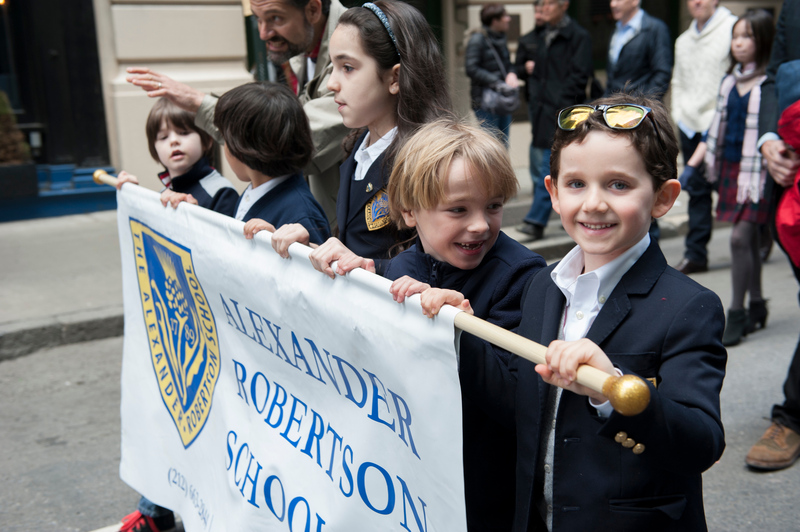 The Alexander Robertson School is a co-educational, Pre-K through 5th Grade community of thoughtful learners located on West 95th Street just steps from New York’s Central Park. It welcomes families of every configuration, ethnicity and religious tradition. This entry was posted in ASF Events and tagged Alexander Robertson School, Craig Weir, Irwin Shlachter, Kristina Giles, Tartan Day Parade on March 19, 2015 by Sara Heegaard. 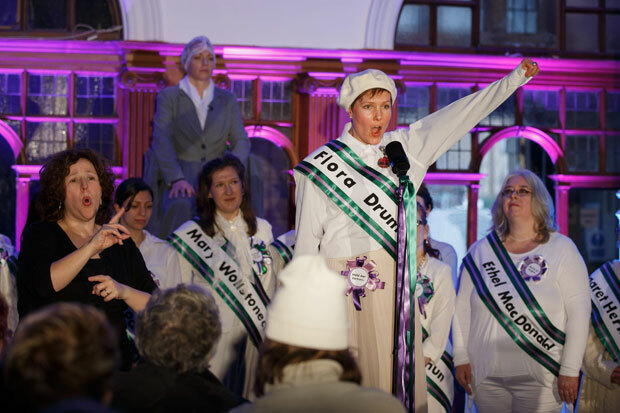 The celebrations began in the Glasgow Women’s Library with a performance of the play Suffragette by Cicely Hamilton, an English writer, actress, and suffragette herself. 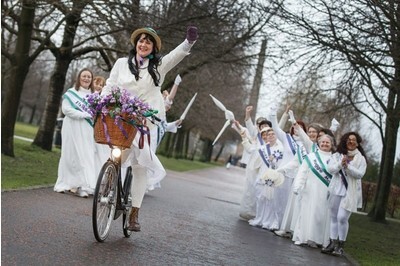 A procession then took to the the streets of Bridgeton before finishing at Glasgow Green. Read the full article and see more of the stunning photos of the day at The Herald Scotland. 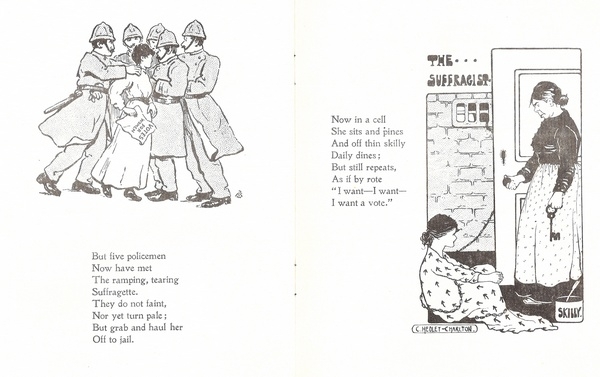 This entry was posted in News and tagged International Women's Day on March 11, 2015 by Sara Heegaard. With the warmer spring weather comes a change in wardrobe, and with it a multitude of fashion events from Scotland to New York. This week marks the first ever Edinburgh Fashion Week, and there’s no shortage of things to see and do in Scotland’s capital city. Visitors can take advantage of the multitude of special offers, discounts, and sales taking place throughout the week at stores including Gap, Godiva, Vans, Hawes and Curtis, Austin Reed, Tommy Hilfiger, Walker Slater, Moss Bros, and more. Many stores and venues are also hosting special events – fashion shows, prize draws, sessions with a personal stylist, and prize giveaways. To learn more about this week’s opportunities, visit the Edinburgh Fashion Week home page. 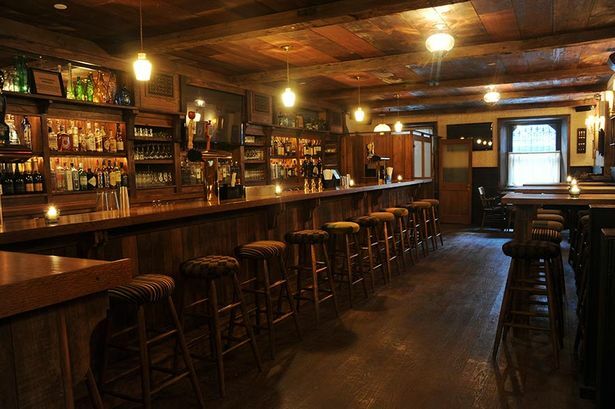 Spring also brings Scottish style to New York. 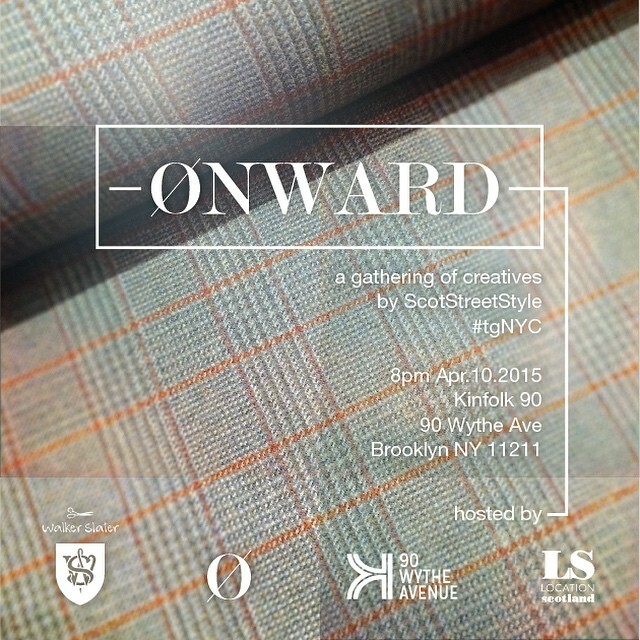 In less than four weeks, just in time for the 17th Annual New York Tartan Day Parade, Scot Street Style will make their New York City debut. 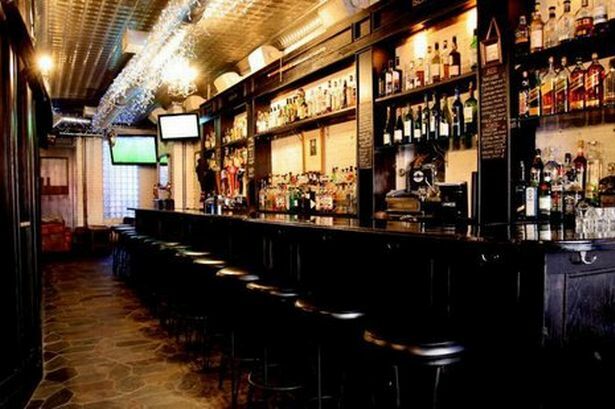 On April 10 at 8pm, they will host a “gathering of creatives” at Kinfolk 90 in association with Location Scotland and Walker Slater, before joining the Tartan Day Parade the next day. For more information, visit the company’s Facebook page. This entry was posted in Associate Events, Travel in Scotland and tagged Edinburgh Fashion Week, ScotStreetStyle on March 11, 2015 by Sara Heegaard. 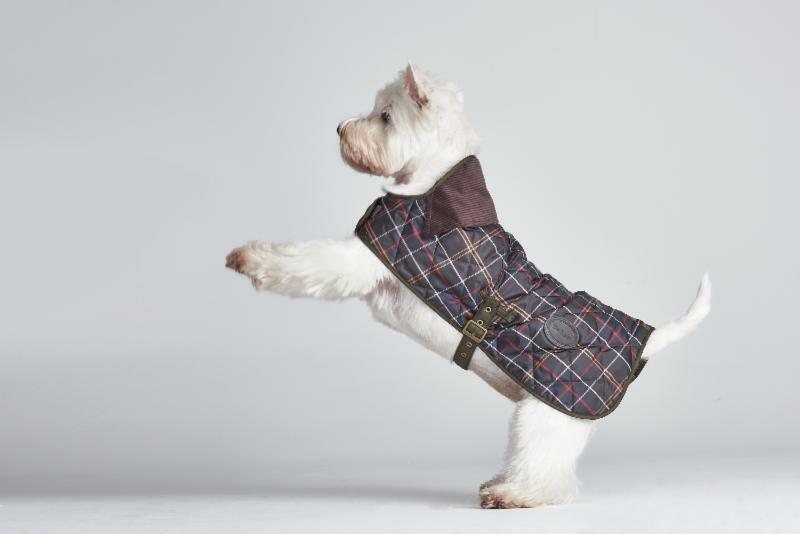 This year, Barbour, the iconic British clothing brand, will sponsor one of the most well-loved units of the New York Tartan Day Parade: the Scottie and Westie Tartan Dog Pack. Thousands of marchers are expected to take part in the parade, and over one hundred of them will be well dressed Scottie and West Highland White Terriers, who will sport trademark Barbour tartan coats as they march up Sixth Avenue with their owners. “The Tartan Day Parade gives us a great opportunity to creatively showcase our association with tartan and we look forward to taking part in the Parade with the Scotties and Westies. If you are in New York and would like your dog to star as part of the Tartan Pack in the Parade, send a photo of your dog to info@nyctartanweek.org by March 25th – and your Scottie or Westie may be chosen to receive a Barbour dog coat to wear in the parade. Read more (and view a photo gallery of dogs at the Tartan Day Parade!) at Scotlandnow.com. 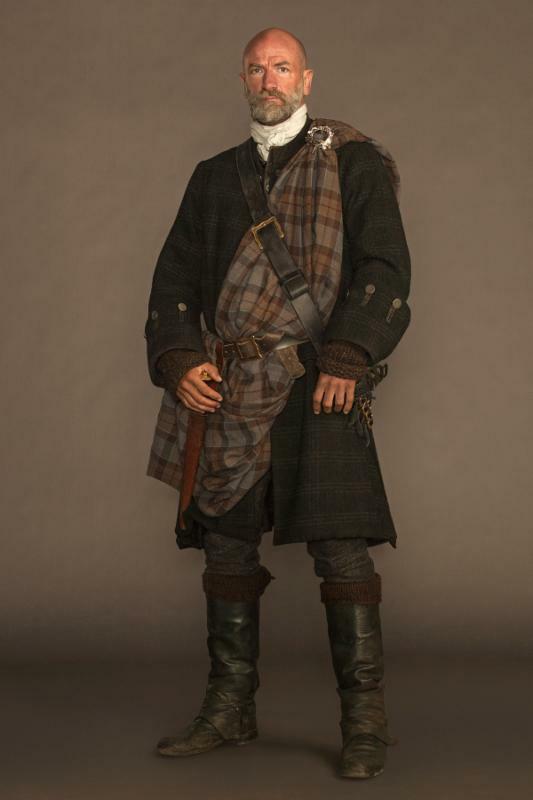 This entry was posted in ASF Events, Scotland-Tartan Week and tagged Barbour, Scotties & Westies, Tartan Day Parade on March 4, 2015 by Sara Heegaard. 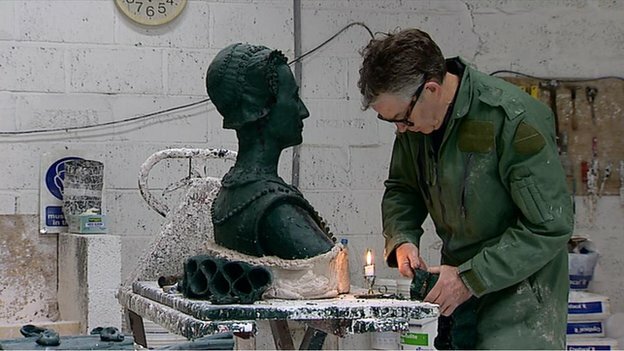 Over 400 years after her death, for the first time later this spring, a Mary, Queen of Scots monument is to be erected in Scotland, reports BBC News. Crafting the statue in the Powderhall foundry in Edinburgh, the sculptor, David Annand, commented that bronze monument, will stand taller than the queen herself did, measuring about 7 feet tall. Once the statue is completed and unveiled, it will find a home at Linlithgow Palace, where Mary was born in 1542. 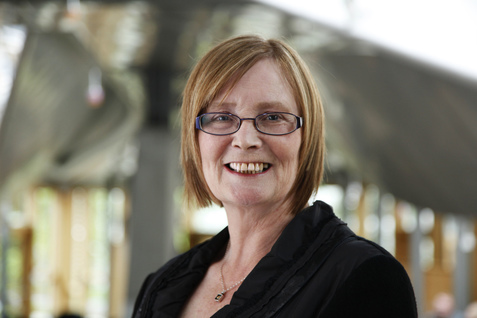 This entry was posted in News and tagged David Annand, David Mitchell, Linlithgow palace, Margaret Lumsdaine, Marie Stuart Society, Mary Queen of Scots, Powderhall foundry on March 4, 2015 by Sara Heegaard.